Sometimes, our clients run into a problem because they don’t have access to hot water for their lavatories. In commercial settings, tenants may be able to access hot water from the landlord, but sometimes this option is not available. If the situation arises where the tenant must provide their own hot water source, our engineers typically recommend two options: instant or tank heaters and help clients weigh the pros and cons by using a few factors. The tank type water heater cost alone is roughly 50% less than a tankless on demand style. However once you put in the shelf, all of the cold water and hot water piping, floor drain, and access panel – then factor in labor, you are nearly at the same cost in comparison to the installation of a tankless on-demand type mounted within a wall. No drain is needed, less labor is required and less piping is used. If the tank-style water heater is electric, they are both 100% efficient. Based on efficiency of water delivery, the tankless will provide hot water almost instantaneously, where the tank-style typically will take anywhere from 3-10 seconds depending on the environment. It, too, can be nearly instantaneous if you provide a recirculation pump on the system, but again this adds additional cost. Our experience is that the life expectancy can vary on either system type from 5-10 years – possibly longer, but it is usually determined by the water quality being delivered to the building and frequency of use. We have seen some small 6-10 gallon tank-style water heaters that are 12 years old. 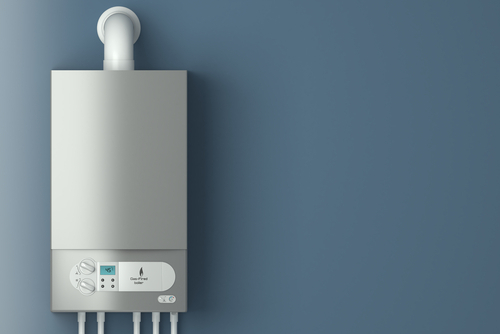 Tankless water heaters in their old age are harder to come by – probably because they have just recently gained wide-spread popularity. TES Engineering can help you determine which water heater is best for your project. Contact us today for your next commercial or industrial MEP design project.